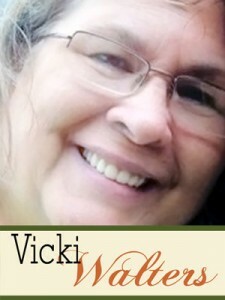 Vicki is the mother of four adult “children” and grandmother of two. She works full time and most days has her grandchildren after school. Whenever she can sneak in some time she is digiscrapping. 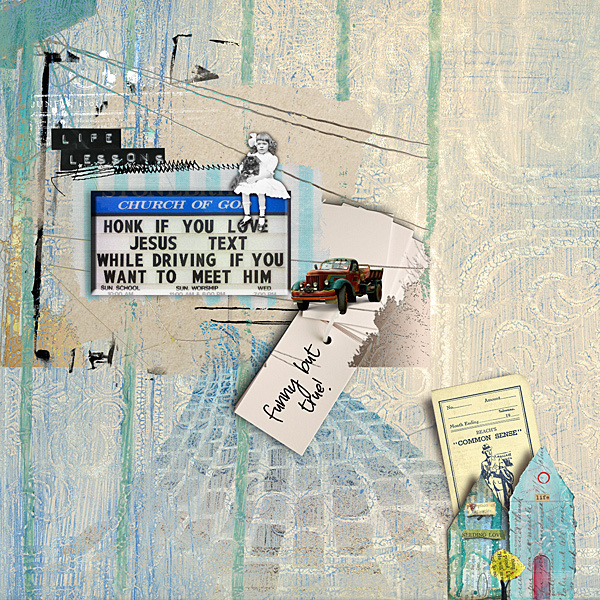 She has been an avid digiscrapper for several years and loves the “artsy” style and art journaling. She has found that it is an excellent form of “therapy” and a wonderful stress reliever Her thought about Art Journaling is that it’s whatever you want or need it to be, whatever you are feeling or whatever is on your mind. 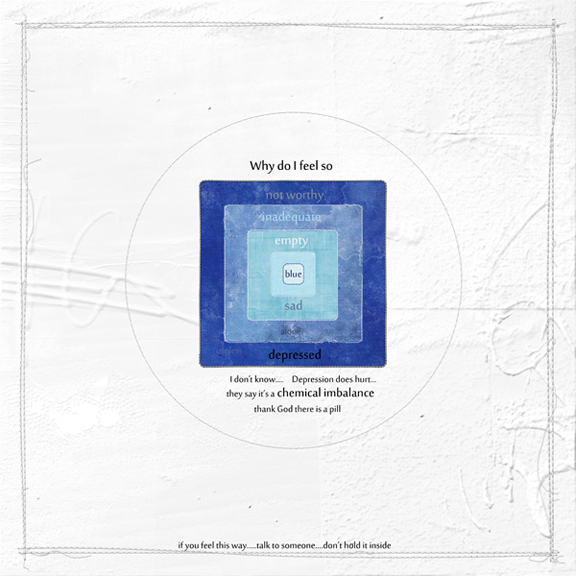 It can be something that’s made you especially happy or sad, something about someone or something you care about..a favorite song that you love and you have a vision of how you would like to illustrate it. She has had some issues with depression for quite a few years and when she discovered digital scrapbooking, especially the more artsy art journaling style, she was hooked! Creating helps drive away those blues and it helped her to express her innermost feelings in a way she had never been able to do before. In the world of Art Journaling there are no rules, and no one judges you for what you’ve put in your page. You have a true freedom of expression and she believes that a lot of art journalists understand and appreciate everyone’s feelings and their right and need to express them. With that understanding there is a lot of support and uplifting. It’s a kind world!. One of the things she loves the most about Art Journaling is there are no rules! How cool is that! Being a child of the sixties that’s just her style. Vicki lives in North Carolina with her husband, Stan, of 34 years, patiently waiting until the day she can retire and spend more time anywhere on the coast taking pictures of lighthouses, fishing boats, the ocean, you get the picture! She is proud and happy to be a member Anna Aspnes’ creative team. To see more of Vicki’s work, check out her gallery at OScraps and her Art Journal Caravan pages at Scrapbook Graphics.